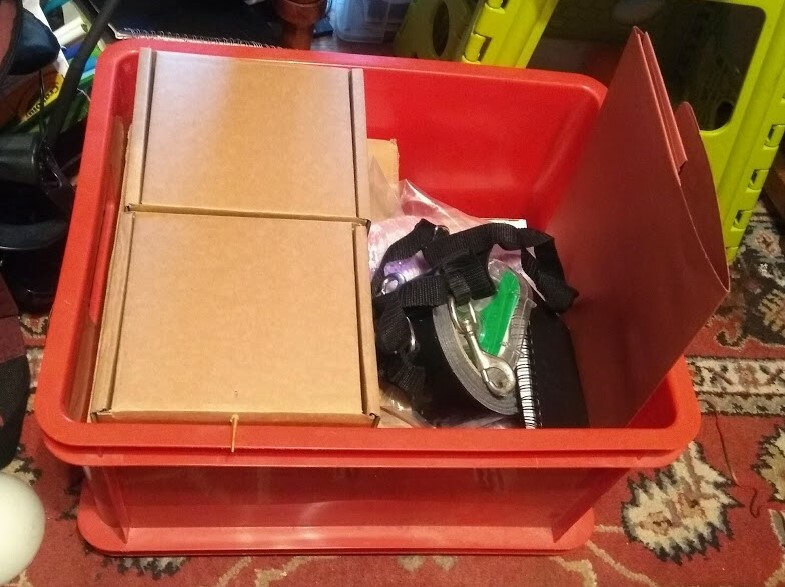 I got my box for tomorrow packed today, and then asked friends for any advice they might have for someone doing a meatspace sales thing. Several brought up displays and my anxiety clung onto that and tried to force a panic attack… not cool. I was able to concretely clarify later that there was going to be almost nobody there sales-wise, and that I probably wouldn’t have any direct competition. Several were offering some solid advice from the perspective of standing out in a craft fair sort of situation, so I will be glad of that if I choose to do more of/bigger events in future. That’s been the main thing today, obviously. I got a tiny bit of work-work done, but I knew that I was going to be super-distracted. Hopefully I will have shiny happy things to report tomorrow, but for now, I’ve got to do some pre-writing that I would normally be doing in that time I’ll be out.